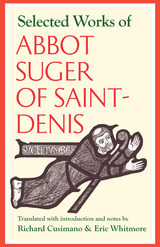 Suger, the twelfth century abbot of Saint-Denis, has not received the respect and attention that he deserves. Bernard of Clairvaux and Peter the Venerable have garnered more attention, and students of medieval history know their names well. In one respect, however, Suger has earned due praise, for his architectural innovations to the church of Saint-Denis made it truly one of the most beautiful churches in Europe. Students of history and architecture know Suger best for his work on Saint-Denis, the burial site of medieval French kings, queens, and nobility. The abbot enlarged, decorated, improved, and redesigned the building so beautifully that it is safe to say that he became the foremost church architect of twelfth-century France. 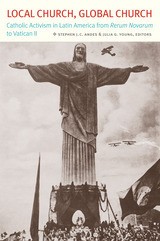 The man, however, was so much more than an architect. He served as a counselor and member of the courts of King Louis VI and VII, who sent him across Europe on diplomatic missions. He represented those kings at the papal curia and imperial diets. He was also a close friends and confidante of King Henry I of England, whom he often visited on behalf of French royal interests. Never shy, Suger seems almost obsessed that his works and deeds not be forgotten. He acquired numerous properties and estates for his abbey, as well as improved the ones it already possessed. He built new buildings, barns, walls for villages, and increased the return of grain from all the abbey’s lands. Readers interested in the medieval agricultural system and way of life will also enjoy these texts. 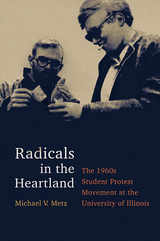 Suger’s texts also provide a wealth of information about the events of his era as well as a large amount of biographical material on his accomplishments. This translation of his writings intends to enhance his reputation and make his name better known by students at all levels and among those interested in medieval topics. In 1220 Abbot William of Andres, a monastery halfway between Calais and Saint-Omer on the busy road from London to Paris, sat down to write an ambitious cartulary-chronicle for his monastery. Although his work was unfinished at his death, William’s account is an unpolished gem of medieval historical writing. 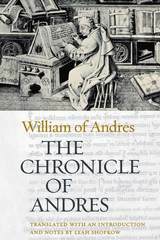 The Chronicle of Andres details the history of his monastery from its foundation in the late eleventh century through the early part of 1234. Early in the thirteenth century, the monks decided to sue for their freedom and appointed William as their protector. His travels took him on a 4000 km, four-year journey, during which he was befriended by Innocent III, among others, and where he learned to negotiate the labyrinthine system of the ecclesiastical courts. Upon winning his case, he was elected abbot on his return to Andres and enjoyed a flourishing career thereafter. A decade after his victory, William decided to put the history of the monastery on a firm footing. This text not only offers insight into the practice of medieval canon law (from the perspective of a well-informed man with legal training), but also ecclesiastical policies, the dynamics of life within a monastery, ethnicity and linguistic diversity, and rural life. It is comparable in its frankness to Jocelin of Brakelord’s Chronicle of Bury. Because William drew on the historiographic tradition of the Southern Low Countries, his text also offers some insights into this subject, thus composing a broad picture of the medieval European monastic world. 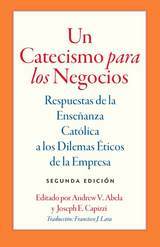 A Catechism for Business presents the teachings of the Catholic Church as they relate to more than one hundred specific and challenging moral questions that have been asked by business leaders. Andrew V. Abela and Joseph E. Capizzi have assembled the relevant quotations from recent Catholic social teaching as responses to these questions. Questions and answers are grouped under major topics such as marketing, finance, and investment. Business ethics questions can be too subtle for definitive yes / no answers, so the book offers no more and no less than church teaching on each particular question. 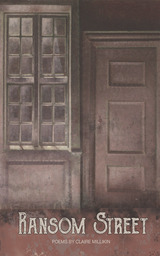 Where the church has offered definitive answers, the book provides them. When the church has not, the book offers guidelines for reflection and insights into what one should consider in given situations. This second edition streamlines some of the editing from the first addition, and more importantly, includes material from Pope Francis's encyclical, Laudato Si, and his apostolic exhortation, Evangelii Gaudium. 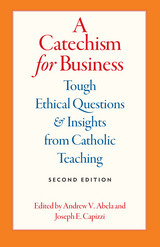 A Catechism for Business presents the teachings of the Catholic Church as they relate to more than one hundred specific and challenging moral questions as they have been asked by business leaders. 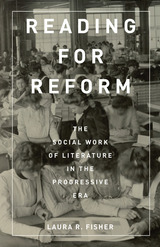 Andrew V. Abela and Joseph E. Capizzi have assembled the relevant quotations from recent Catholic social teaching as responses to these questions. Questions and answers are grouped together under major topics such as marketing, finance and investment. The book's easy-to-use question and answer approach invites quick reference for tough questions and serves as a basis for reflection and deeper study in the rich Catholic tradition of social doctrine. This second edition, translated into Spanish, streamlines some of the editing from the first addition, and more importantly, includes material from Pope Francis's encyclical, Laudato Si, and his apostolic exhortation, Evangelii Gaudium. 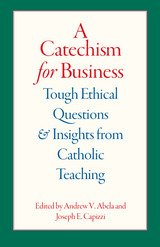 A Catechism for Business presents the teachings of the Catholic Church as they relate to more than one hundred specific and challenging moral questions as they have been asked by business leaders. Andrew V. Abela and Joseph E. Capizzi have assembled the relevant quotations from recent Catholic social teaching as responses to these questions. Questions and answers are grouped together under major topics such as marketing, finance and investment. The book's easy-to-use question and answer approach invites quick reference for tough questions and serves as a basis for reflection and deeper study in the rich Catholic tradition of social doctrine. 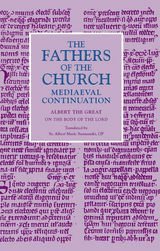 Comprehensive and learned translation of these texts affords insight into Abelard's thinking over a much longer sweep of time and offers snapshots of the great twelfth-century philosopher and theologian in a variety of contexts. This work provides a clear guide to Karol Wojtyla's principal philosophical work, Person and Act, rigorously analyzing the meaning that the author intended in his exposition. An important feature of the work is that the authors rely on the original Polish text, Osoba i czyn, as well as the best translations into Italian and Spanish, rather than on a flawed and sometimes misleading English edition of the work. This text, the Questions concerning Aristotle's On Animals [Quaestiones super de animalibus], recovered only at the beginning of the twentieth century and never before translated in its entirety, represents Conrad of Austria's report on a series of disputed questions that Albert the Great addressed in Cologne ca. 1258. The style varies to suit the content: certain sections are terse; others are devotional, allowing the reader to enter the saint’s own prayer. Perhaps most characteristically Albertine is an extended meditation that compares the process of digestion to the incorporation of the Christian into the Body of Christ. The mixed style allows this work to integrate rigorous aspects of scholastic thought with a fervent love for God, making On the Body of the Lord one of Albert’s most human as well as one of his most beautiful works. The Letters 1-91 of Saint Ambrose. This book centers on a Greek text that was likely compiled in Constantinople, in 1105, for use in one of the monasteries located there. The book is a liturgical psalter, containing the fixed structure (the ordinary) in both the Greek original and in English translation, as well as a description of the hours themselves. 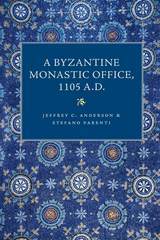 The extensive commentary explains the development of the monastic office, and the particular history of the translated manuscript, while brief notes clarify and explain, in a way suitable for non-liturgists, the more-technical aspects of the offices. 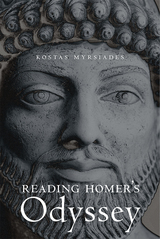 The English translation itself, in facing-page format with the 1992 Leonine critical edition of Aquinas's Latin text, remains faithful to the text and at the same time clear and readable. 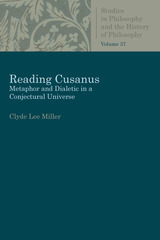 The translations presented in this volume are based on the critical Leonine edition of the commentaries, which includes the Latin translations of the Aristotelian texts on which Aquinas commented. Many people believe that when it comes to moral questions, anyone's opinion is as good as anyone else's. Teachers of philosophy, by exposing students to the full panoply of moral theory, can reinforce this prejudice towards skepticism even when they intend to challenge it. Gary Michael Atkinson has taught introductory courses in philosophy for decades, and he has developed an effective approach to show that widespread skepticism based on the existence of persistent moral disagreement is mistaken. 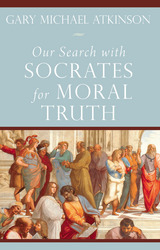 Our Search with Socrates for Moral Truth will appeal not only to students and teachers of philosophy but to any educated reader seeking to ascertain or defend the existence of moral truth. This ground-breaking work establishes a solid biblical and theological foundation on which a theology of the family can be constructed. It thus fills a critical lack in the current literature on the family. The wide range of sources, including Jewish, Catholic, Orthodox, and Protestant, give this work a genuine ecumenical dimension. 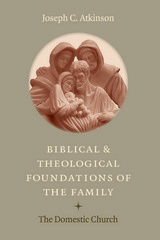 Biblical and Theological Foundations of the Family will become indispensable for anyone wanting to engage in serious study of the structure and meaning of the family and its place in the salvific will of God. In this volume, which concludes John W. Rettig's translation of St. Augustine's Tractates on the Gospel of John, Augustine applies his keen insight and powers of rhetoric to the sacred text, drawing the audience into an intimate contemplation of Jesus through the course of his Passion, Death, and Resurrection. Besides ethical questions raised at the beginning and the end of life, Nicanor Austriaco, O.P., discusses the ethics of the clinical encounter, human procreation, organ donation and transplantation, and biomedical research.